Through this professional development workshop, artists of all genres and of all stages in their careers will learn important insights about the evolving business of art. In order to bring their art businesses to new levels, artists must develop new skills and knowledge or perfect them. If you’re not constantly learning and growing, then you’ll always be stuck in the same place. Learning new techniques or perfecting old ones is as important as understanding that the best professional practices are crucial if you want to make your living as an artist and be successful at it. You want to make educated decisions about your art practice. During this professional development workshop, you can learn everything from developing your curriculum, maximizing the impact of your CV, Statement and Bio, the right strategies to base your artist’s career on and erasing some of the guesswork that comes from being an artist and entrepreneur, outlining various methods on building your brand and marketing strategies, knowing your worth : pricing for profit, time management, finance, tax tips and legal issues for creatives to protect their businesses and craft. . 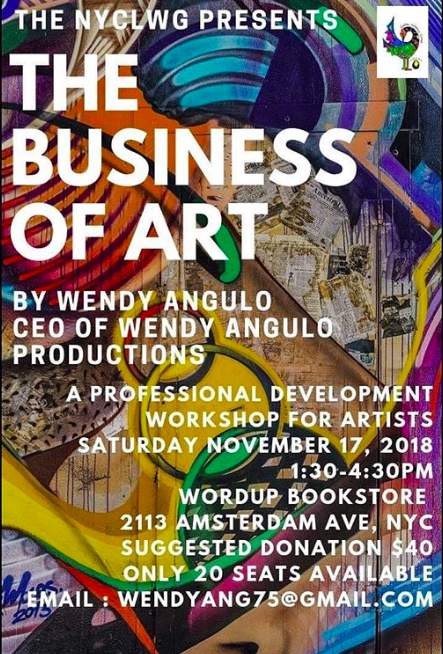 This workshop is especially geared towards helping artists gain the resources and connections they need to be successful self-employed artists.